These were very impressive cars in their day. They're still impressive now. 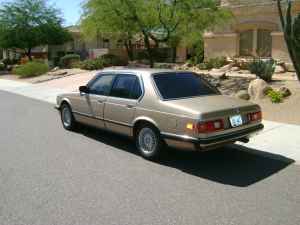 The 745i Turbo was never officially imported into the US. 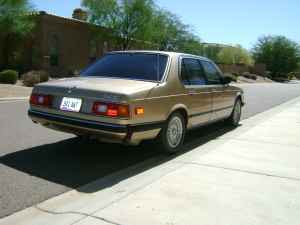 The 745i does not have a 4.5 liter engine in it. It has a 3.2 lite turbocharged 6. BMW got a little creative and decided that since a 3.2 liter turbocharged engine has power equivalent of 4.5 liter normally aspirated engine, they could call this car a 745. This car is a two owner, 219,000 mile car. It's an Arizona car and most likely has little, if any, rust. The seller says it runs well, but "needs just a little TLC". "TLC" is one of those vague terms that makes me cringe when I see it used in a car ad. This car was super high-tech in its day. That's a problem now. 25 year old high tech stuff - which isn't all that high-tech now - breaks. Finding parts for a grey market 7 Series is not going to be easy. When you do find them, they most likely won't be cheap. If the "TLC" it needs is upholstery repairs or minor things like that, the asking price of $3000.00 is reasonable. Just set aside some money for the day when something does break. 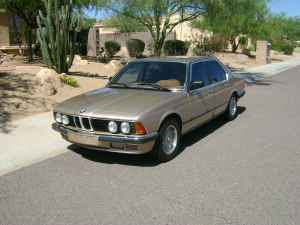 Located somewhere near Pheonix, AZ, click here to see the Craigslist ad. Someone in a dilapidated house in my 'hood has one of these 745i Turbos. It doesn't look like it's been started in years. I wrote about the other 745i, a NA version sold only in South Africa. It had the engine of an M1.